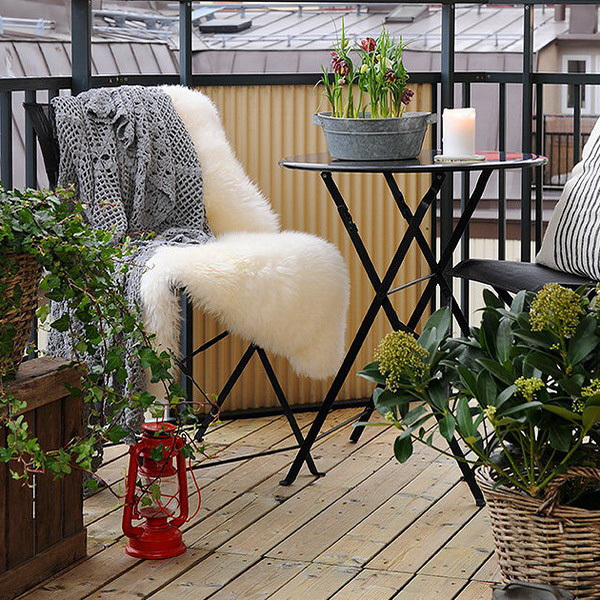 A budget balcony can be designed with minimum materials. Throw new slipcovers on the old chairs and voila the seats are ready. Add a couple of accessories and decorations as well as some plants and enjoy the afternoon coffee or a book almost outdoors. A garden can make any place look better. Plant various flowers and greenery in different-sized planter pots and arrange in the balcony corners. The rails can work as trellises for crawling plants or planters can be fixed to them. Make sure to know on what side is your balcony to choose shadow or light-loving plants. 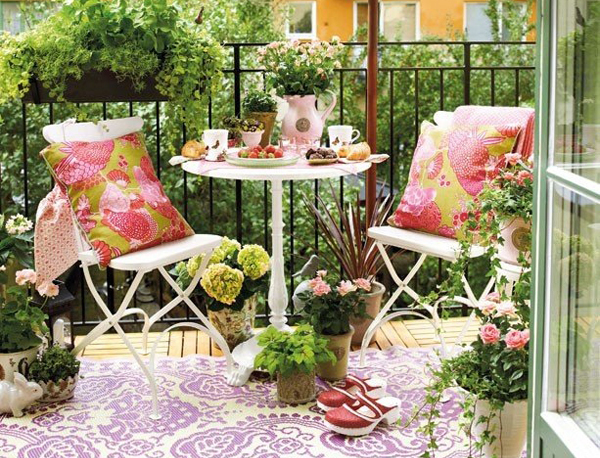 Use old furniture or even old discarded things like wooden crates to create seats or low tables or footrests for the balcony. To give them a new appearance think reupholstering or simply new slipcovers. The crates can be painted in different colors or decorated with old posters or decoupage. You can simply wrap them up in a nice-looking fabric. Accessories are cheaper than new floors so throw on a colorful rug, add string lights or lanterns to the balcony design and it will become a charming gathering spot. You can also add colorful coverlets or slipcovers to the furniture, little figurines or a small fountain.